A new B&B welcomes you in the heart of Rome, just 50 meters from Piazza Navona, housed in a historic XVI century building that enjoys a panoramic view of the Chiostro del Bramante. The Rooms in Navona creates the perfect link between ancient and modern: the facility has been completely renovated retaining the original features such as ancient marble pavements as well as frescos and front door. Inaugurated in September 2013, is located between the Torre Millina and the most famous Caffè della Pace a notorious meeting point for the Romans. 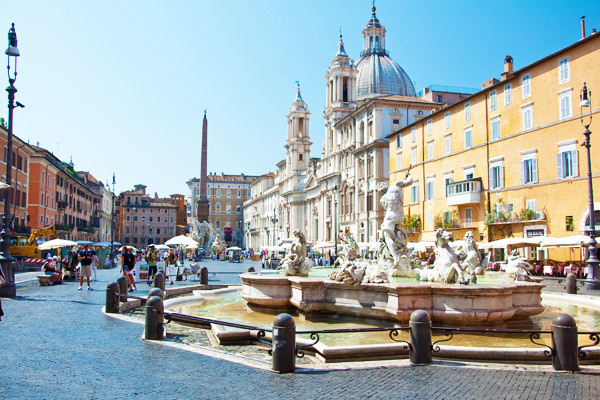 It is most definitely a strategic point for those who want to visit the history of Rome on foot because all the monuments and prestigious venues are at walking distance: the Trevi Fountain, the Pantheon and Via dei Condotti, Rome’s 5th Avenue. 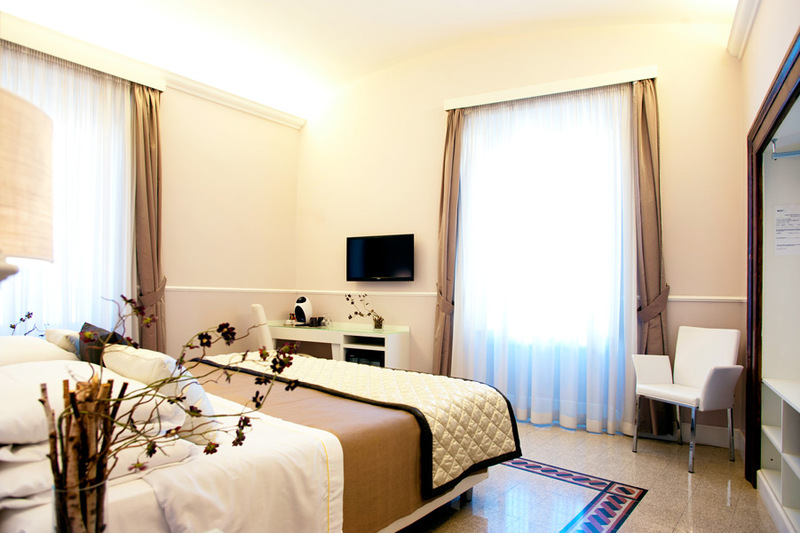 Placed in the most important center of ancient Rome, the B&B Rooms in Navona is located few steps from Piazza Navona, Campo de‘ Fiori, the Vatican and Castel Sant’Angelo. 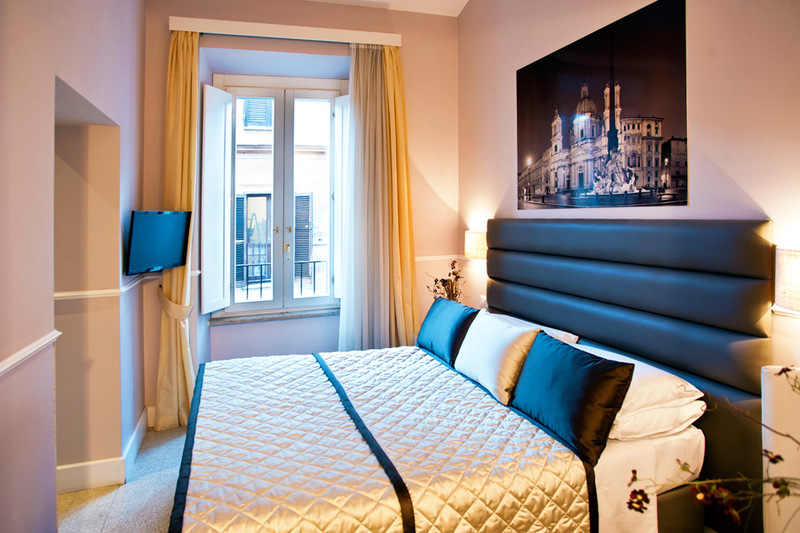 B&B Rooms in Navona enjoys a strategic location, being in the city historic center, surrounded by monuments and places of interest and entertainment, which are symbols of the artistic beauty of the Eternal City. 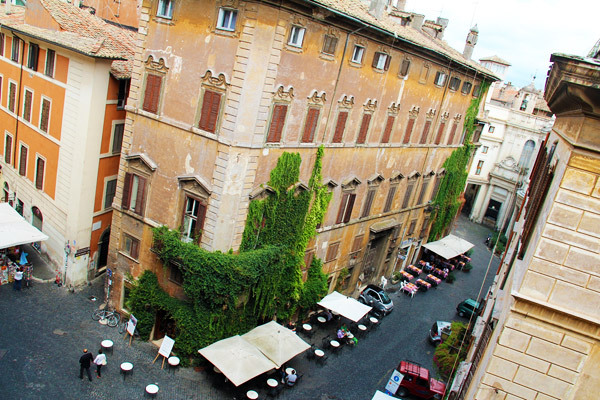 The B&B Rooms in Navona is housed on the 4th floor of a historic 18th century building set between the view of the Chiostro del Bramante and the Tor Millina, in front of Piazza della Pace and the Antico Caffè della Pace, a symbol of the historical center of Rome! The B&B Rooms in Navona is a new opening and has been completely renovated in keeping with the ancient and original grit flooring as well as existing frescoes, combining modern technology with a classic mood. 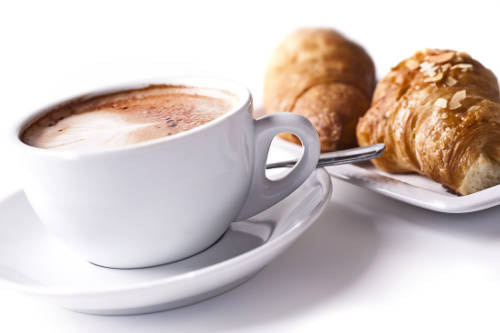 In Italy breakfast is savored at the coffee-house: we are affiliated with some of the most café’s just outside the building, where guests will be welcomed to enjoy an Italian breakfast: croissant and cappuccino or tea or espresso. INFORMATION ON TAX: Since September 1, 2014 was introduced to the city of Rome a city tax mandatory for those staying in accommodation in the city. This contribution will be applied also to other tourist services (buses, sightseeing, boat tours on the Tiber and seaside facilities). The contribution for the bed and breakfast is € 3.50 per person per night, up to a maximum of 10 consecutive nights. The tariffs of services offered by our structure do not include this tax.